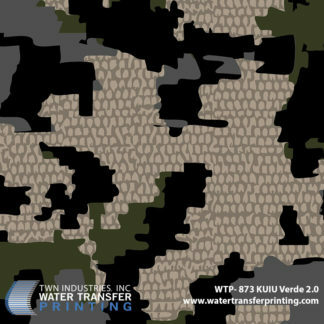 PRINCETON, FL September 12, 2013 – TWN Industries Inc., the leading water transfer printing supplier, announces the highly anticipated release of KUIU’s®Verde and Vias camo film patterns. The designs have already enjoyed tremendous success as part of KUIU’s® mountain-hunting clothing line. TWN has not only captured the quality and effectiveness of the patterns, but has been able to convey KUIU’s® passion for the outdoors with these two very distinctive hydrographic film patterns. The KUIU camouflage patterns have been thoughtfully designed and crafted to mimic the vast and ever-changing environment of most mountainous territories. However, while both patterns are excellent at concealment, each one of the film patterns has a different application. Verde® is an excellent choice for greener terrains, while Vias® blends right into rockier landscapes. “The true beauty behind these patterns is that they’ve been tried and tested by so many. These patterns have always proven effective in concealing individuals who enjoy the outdoors and prefer to blend into their natural surroundings. Those individuals can now benefit from that same level of concealment by hydro dipping their ATV’s, firearms, binoculars or even game cameras with this new film pattern, “stated Mike Richards, Director of Business Development at TWN Industries. 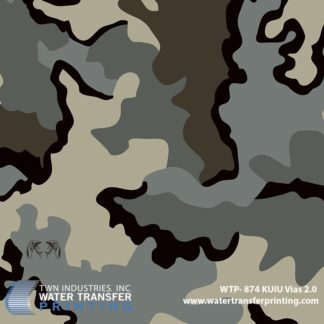 The KUIU® water transfer printing film patterns are available exclusively through TWN Industries, Inc. Three-meter accessory packs and production quantity films are available immediately. 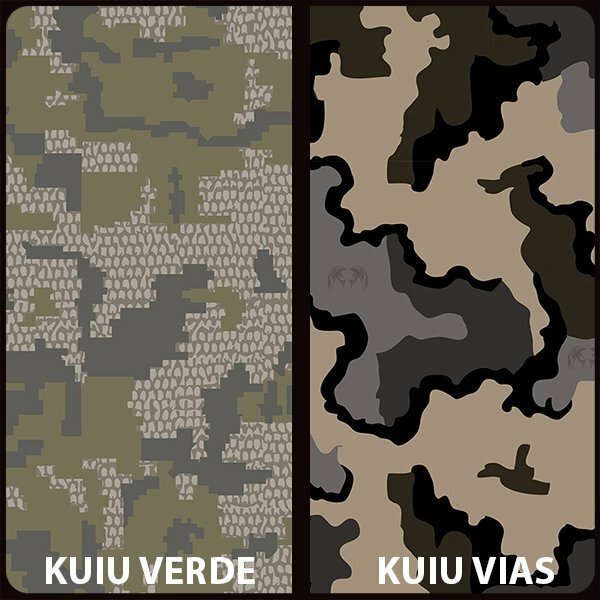 The part numbers are as follows: KUIU Verde®: WTP-703 and KUIU Vias®: WTP-744. Based in Dixon, Calif., KUIU was founded in 2011 on a passion for big mountain hunting with the goal of creating the lightest and highest performing hunting gear possible. With a commitment to technical excellence, a sell-direct model and customer relationships, KUIU has expanded to offer a one-of-a-kind line of apparel, packs and accessories for every outdoor adventurer. For more information, visit KUIU Ultralight Hunting.